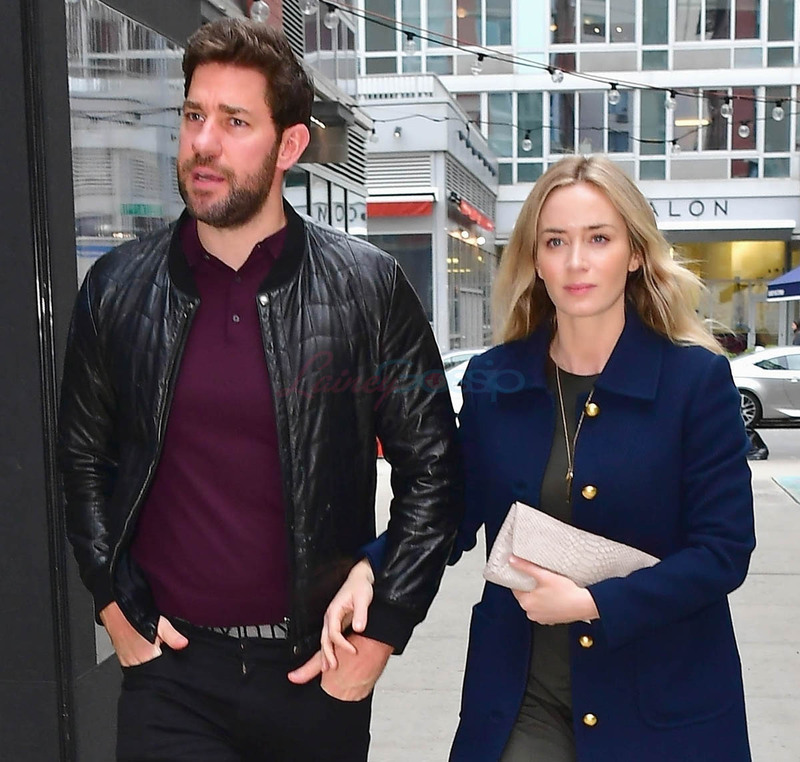 John Krasinski and Emily Blunt stepped out for dinner in New York last night. John confirmed earlier this year that he would be directing the sequel to A Quiet Place and it was reported in February that Emily Blunt, Millicent Simmonds, and Noah Jupe were “in talks to return”. A Quiet Place was made for $17 million and earned almost $340 million. Needless to say, John’s getting a bigger budget this time. But how much is Emily getting? She made $1 million, much less than her usual rate, on the first movie because, obviously. Her rate for Jungle Cruise, by the way, was between $8-9 million, according to THR. It’s expected that she will once again take a cut for the sequel. Sure, I get it. But how much of a cut? These are the conversations I want to know about. When your husband is the director. When you are the star. When the studio is financing it. When the movie will now have a May 2020 opening date – because they KNOW it’s going to be successful. What do you ask for in those circumstances, even if it’s “a cut”? What’s the work there? The negotiation? The considerations? What do those conversations at home look like? Let’s talk about what John looks like. I’ve never been super attracted. But the way he’s wearing this jacket and his pants and the hair… it’s the most attracted I’ve ever been to him. Also attached – new shots of Garrett Hedlund and Emma Roberts looking pretty happy together in LA. I’m not happy about the way these pants look on him. He’s never been great with pants though and I can’t understand it.